This is such an excellent artwork, love the lights and shadows! Like the angle, the shadow, the background. I agree with comments above! I like the strength of the chain vs the lightness of boats and clouds. 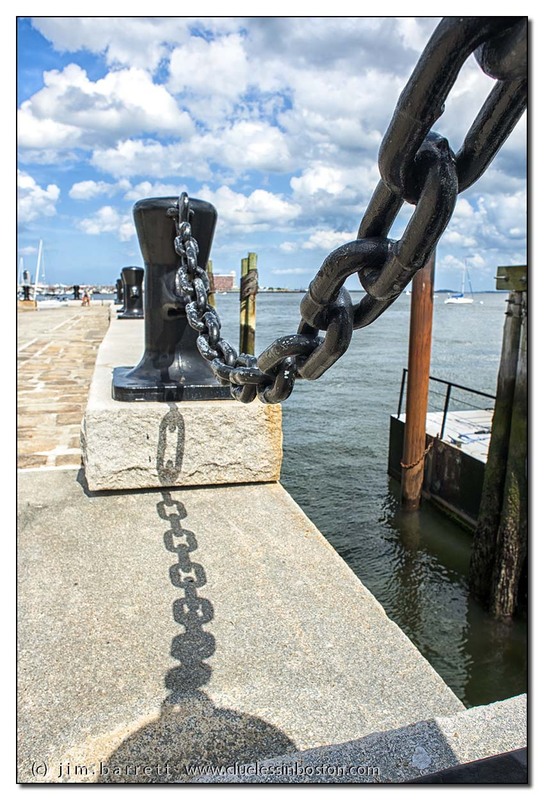 Love this photo, the shadows, the angle, the sense of strength in that chain. Pretty good use of a Wide angle lens and a subject that holds some power. Summer in coastal New England.